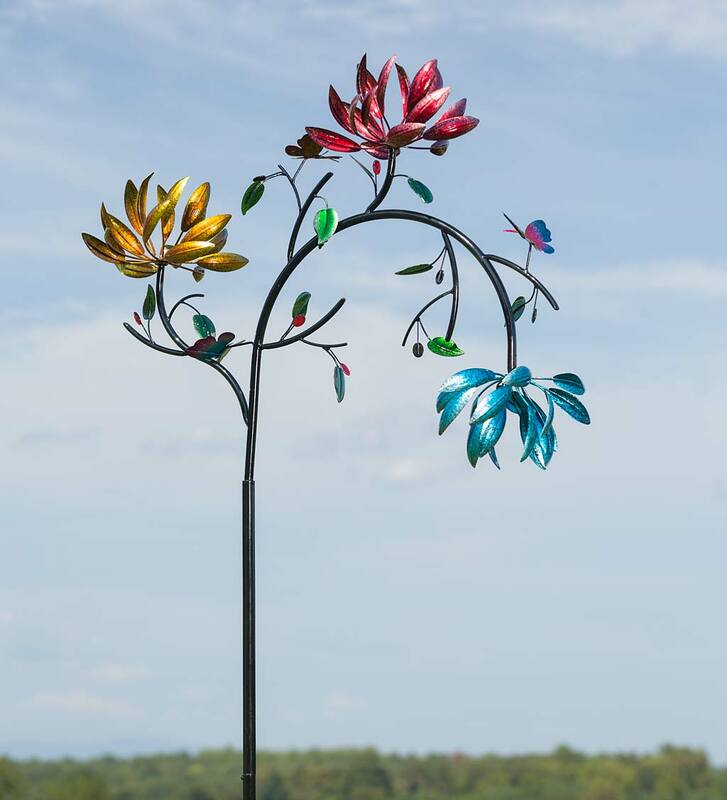 Add new life to your landscape with this Large Wind Spinner with Three Spinning Flowers. Just plant this eye-catching, artistic accent in your garden, and you'll be ready for spring's arrival. No matter the season, you'll love the movement and color it brings to your yard. 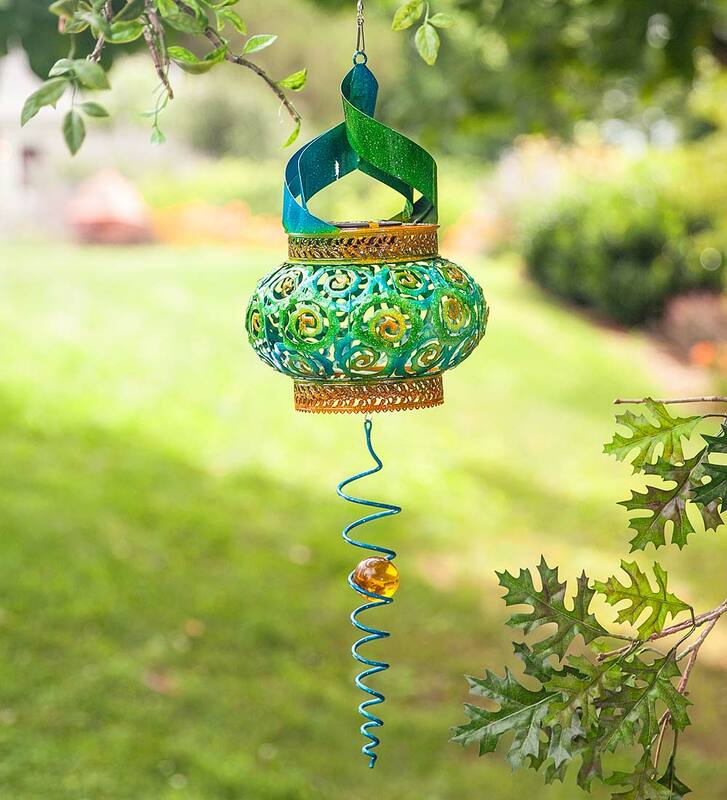 Loaded with details, this unique spinner features three moving flowers in bright, vivid colors - two are upright and one hangs down, all catch the breeze beautifully. Vibrant green leaves and butterflies add to the nature-inspired design. Impressive in size and concept, this statement piece will quickly become the focus of your landscape. Metal with a durable, all-weather finish. Designed with a flavor of the far east, this Blue and Green Solar Twirler Spinner is turning more than just heads. 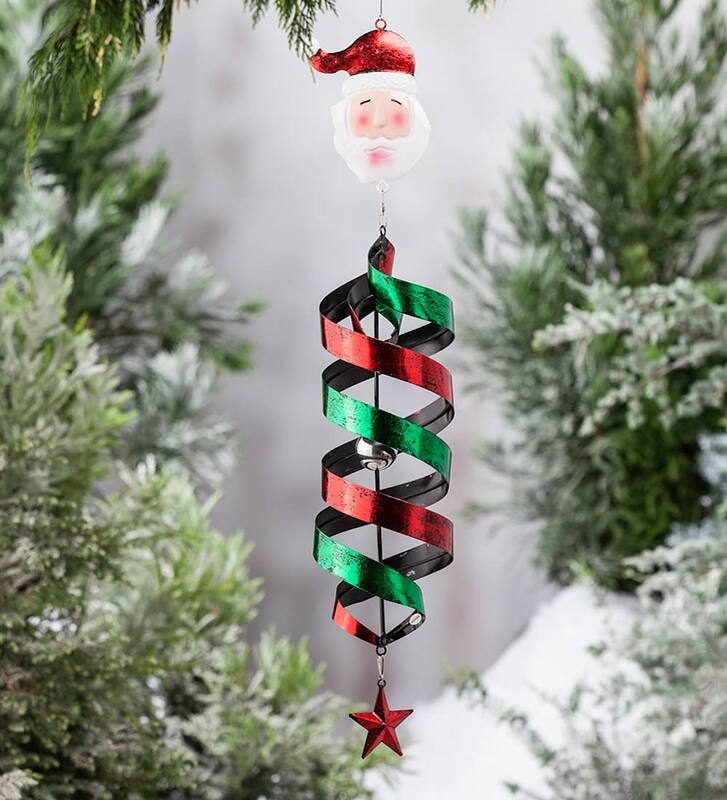 The intricately-patterned blue, green and yellow ornament is designed with spiraled "fins" at the top to catch the breeze and twirl it around. Adding to the visual intrigue is a wire spiral hanging below with a golden-colored orb within the twists. As the spiral turns, the orb seems be moving while never actually changing position. And that's not all! There's even a discreet solar panel that powers LED lights within the twirler body. After dark the light shines through the cutout shapes adding a whole new dimension to this garden art piece. 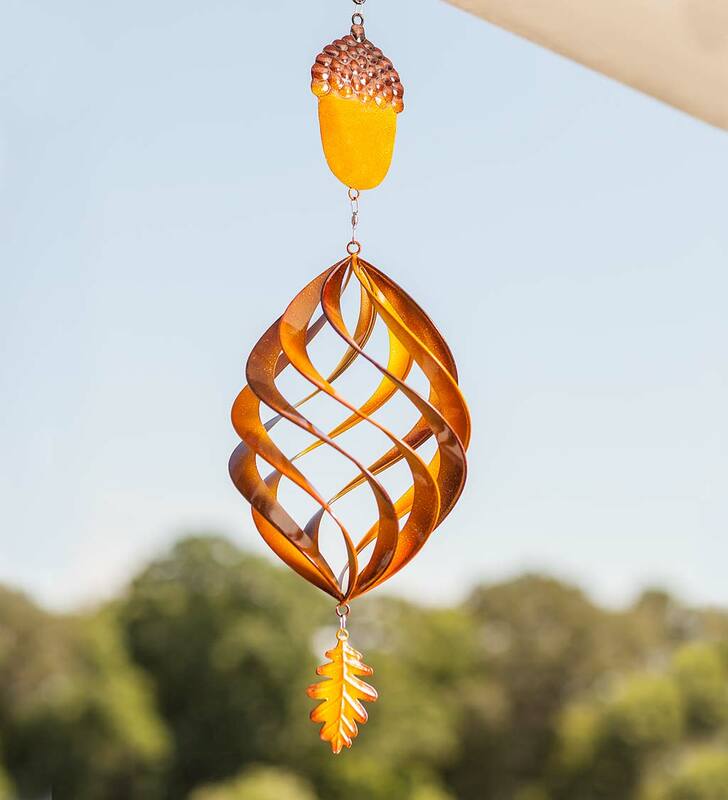 And, by simply removing the wire spiral below, you can take this piece from hanging to tabletop as a decorative light on an outdoor table or porch. Our Acorn Hanging Swirl Spinner is a great way to add movement and interest to your yard without taking up much space! It's perfect to hang from a tree branch, porch ceiling or anywhere else that provides a good view of the mesmerizing motion. A large acorn adorns the top and an oak leaf accent dangles from the bottom. The painted finish features autumnal colors like gold and brown with a textured effect.